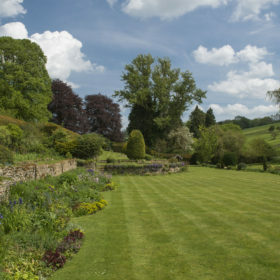 Marsden Manor sits majestic and magnificent beneath the song of the Cotswolds skylarks. 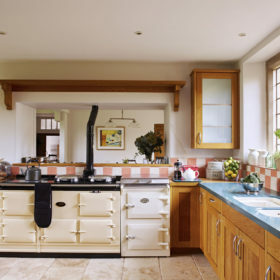 Behind the heavy door and mullioned windows, Marsden is a full English from the Aga. It’s a dip in the pool. It’s a barbie on the lawns and it’s the gleeful sprint of free-range kids who’ve found the games room, wendy house or tennis court. 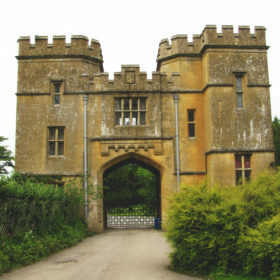 Slip back through the curtain of time to Cotswold Rendcomb. Deep within the land of cultured small cities and rolling wolds, this is a village whose post office is also the store. The handsome streets of honeyed stone, with their pubs wearing Farrow and Ball coats, give way to the rolling green of Cotswold hunt country. And there it is. 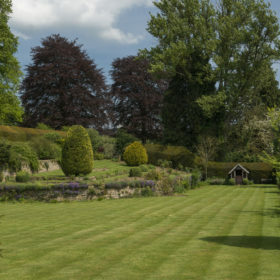 Enter the grounds of Marsden Manor and the timelessness persists – if this isn’t the feudal age, it’s at least the childhood of our imaginations. 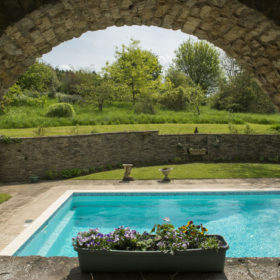 The drive wends through the woods, the gravel crunches and Marsden Manor looms larger than life across the Churn Valley, a monument to Arts and Crafts, and a country break like no other. It’s quiet here, apart from the autumnal call of rooks or the summer song of the skylark. 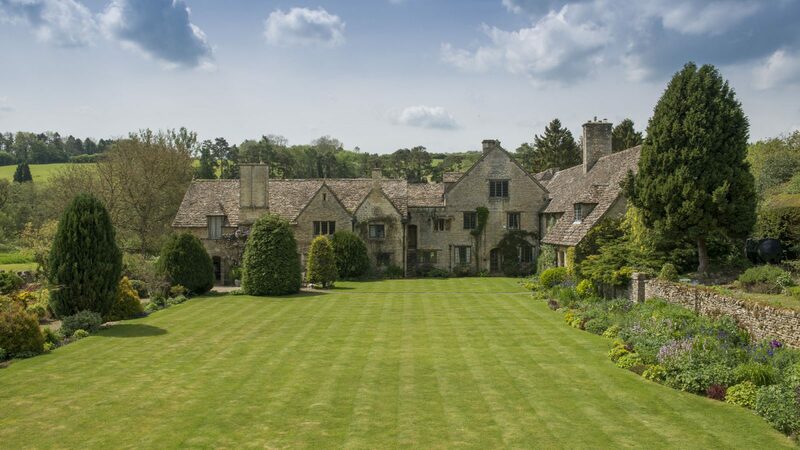 Ten-bedroom Marsden sits majestic and magnificent in its limestone coat, with its stone-mullioned casements and heavy door. 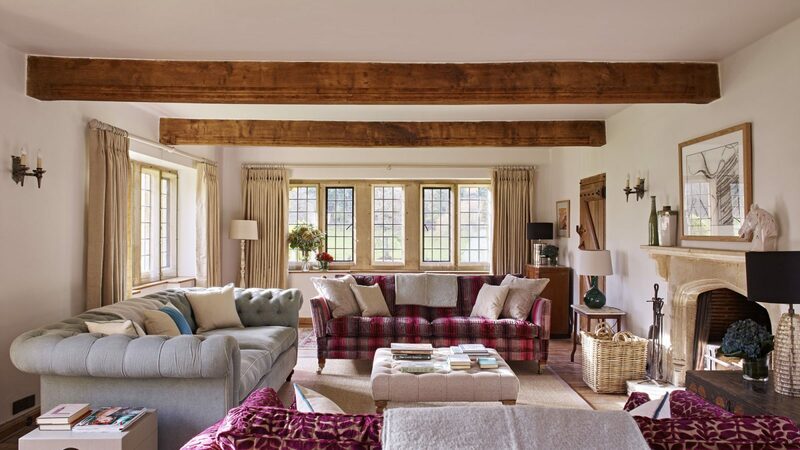 Inside, gracious living comes care of the listed tradition that sits harmoniously with the modern touches. 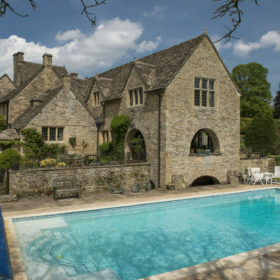 Awake to a full English from the Aga and a dip in the pool or set of tennis. Raid the bookshelves or invade the media room. 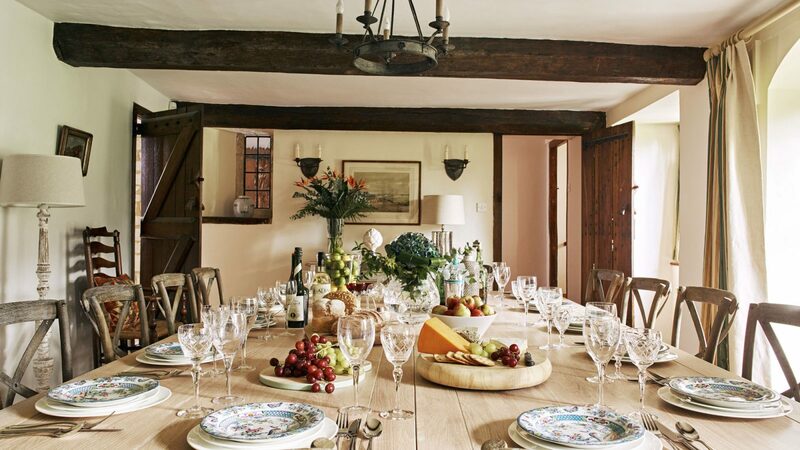 Eat, drink and be merry around the oak table. 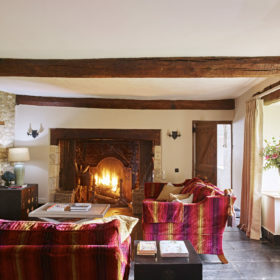 Retire to the drawing room’s flame-lit homeliness. 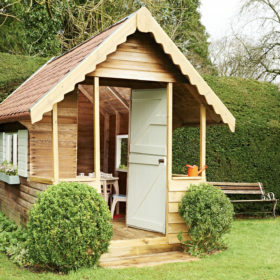 Let the kids find the games room and old-school wendy house. Togetherness has never been so timeless. Everyone will make a beeline for the heated pool. Get changed in the boot room and put your best foot forward. But that’s only if you’re not waylaid by the generous slice of Gloucestershire that lies before you. The lawns run forever. Or at least as far as the glorious escarpments that rise from the Churn Valley floor, lending breathtaking vertical perspective. Walk from the house, a revelation of elegance in the distance, through wrought-iron gates to the tennis court. Dive into that pool. Or just laze around the surround in the sunshine. Prise the kids from the pool and let them explore. They’ll find acres of lawn and woodland for cartwheeling, freewheeling or hide-and-seeking. Or even croqueting or cricketing. There’s even a wendy house for playing Lords and Ladies in miniature. Bring your rackets and balls because there’s all-weather tennis on site, too. Play a set or two, then gather round the table and chairs in the sunshine to refuel on long, cool drinks and al-fresco steaks and salads. 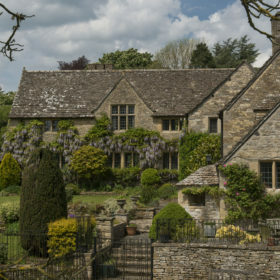 Live like Lords and Ladies in this majestic manor house. There are three living spaces here all are sublime, some ridiculously large and some cosy and quiet. 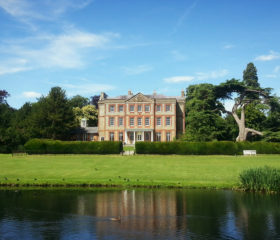 Once through the heavy front door, turn right for the drawing room, a log-lit fount of family fun. This is the stage for charades or late-night whist that’ll knock out the kids for hours. If movies are on the menu, there’s a media room equipped with Sky TV and DVDs. Plump up the cushions and pass the popcorn. Toys and books also abound, so Nintendos can be no-goes. 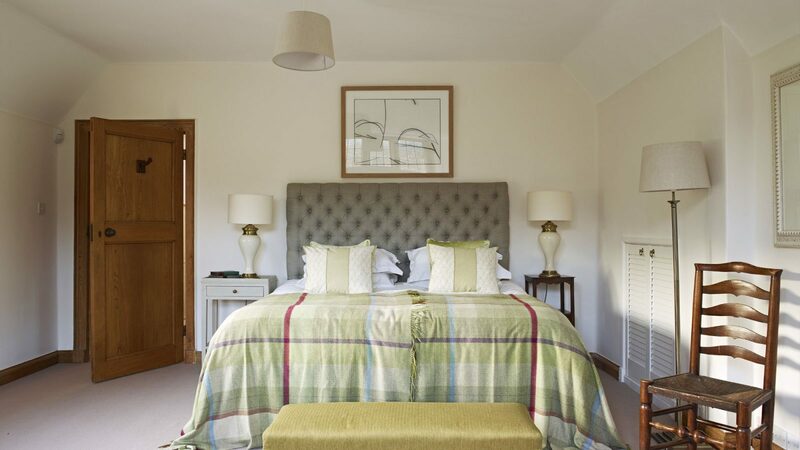 Relax in the morning room, whilst the kids get lost in the labyrinth and have fun trying to find the games room.There’s pool and table football there on tap, and younger kids will find books and Brio in the playroom. 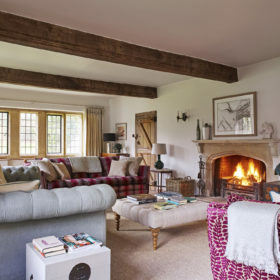 There are spaces here to play, party or just be together, and smaller spaces to break out and read on cosy sofas with mellow music. 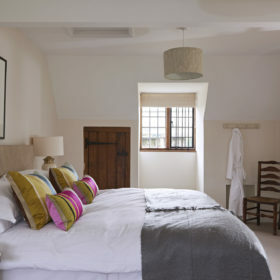 Marsden Manor is the do-as-much-as-you-can or as-little-as-you-want experience. 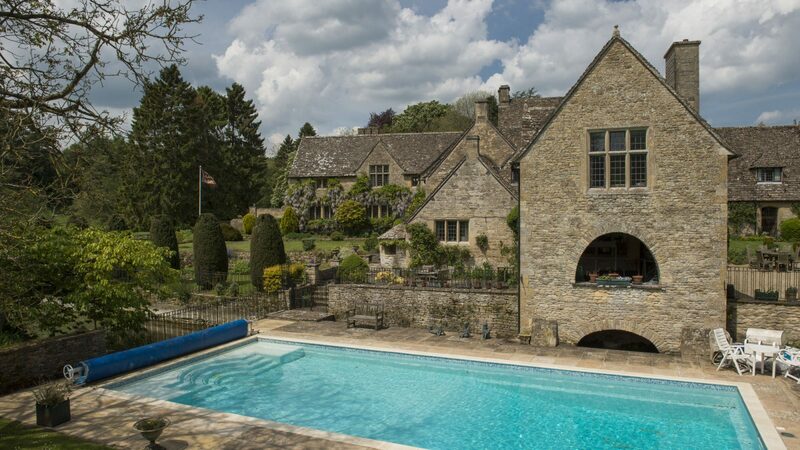 Despite the Cotswold backdrop, it’s the house that holds the aces here. Classy cooking’s a cast-iron certainty on the four-oven Aga, but if you’re celebrating something special, we’ve a chef or two who can lighten the load and take you expertly from aperitif to digestif. 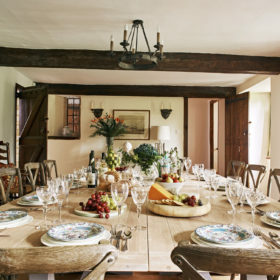 Settle back around the 16-seater dining table and loosen your belts and buttons. We’ll even load the two dishwashers afterwards. 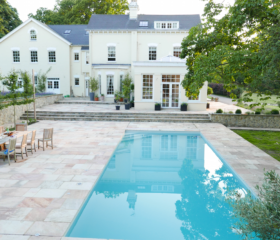 The kitchen’s new and state-of-the-art, and an American-style fridge-freezer provides many meals from one shop, as well as ice for summer poolside drinks or post-tennis replenishment. 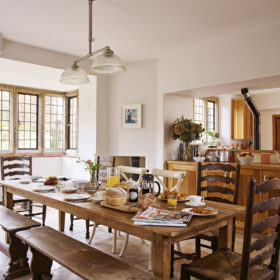 There’s a ten-seater table for keeping things warm and social while you wait, wrapped in the heat of the Aga. 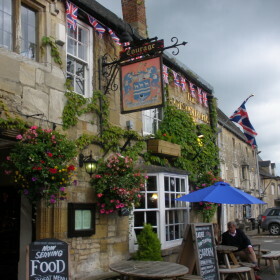 For eating out, it’s a moderately stretching meander along the River Churn to the Bathurst Arms, where they rear their own Old Spots and you can eat seasonally as the river sparkles close by. 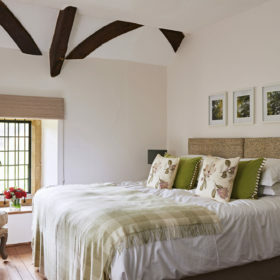 The Mill Inn at Withington is where chicken-in-a-basket was invented, and The Colesbourne Inn is the place to read the paper in front of the fire, as you enjoy a hearty meal. 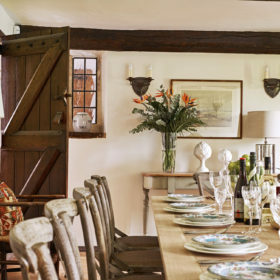 If the glittering allure of Michelin stars is irresistible, you can choose from the Butcher’s Arms in Eldersfield, The King’s Head in Cirencester and the Lords of the Manor in Upper Slaughter. 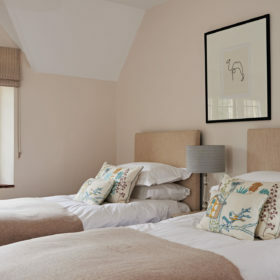 Marsden Manor sleeps 20 in ten bedrooms, some the size of small nations and all of which offer sumptuous comfort through duck-down duvets and crisp cotton sheets. Pop open the leaded-glass Arts and Crafts windows and drift off in the cool country air to the sound of the owls and the corncrakes. 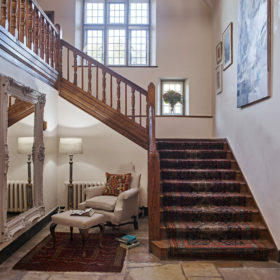 Carpets are thick and heavy; armoires, rugs and other period furniture add to the atmosphere; and accommodation is as flexible as a Russian gymnast. 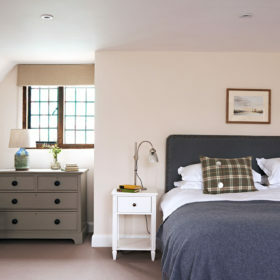 All beds are kingsize and seven convert to twins through a simple zip-and-link system. Bathrooms have been sympathetically renovated, with skin-pummelling power showers, roll-top baths and contemporary tiling. 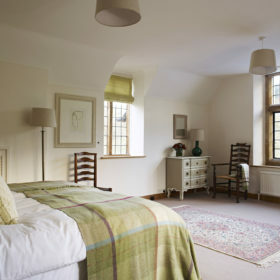 The manor house’s signature listed turquoise tiling runs throughout. New floor tiles and wooden bath panels complete the elegant picture. What are you waiting for? That long soak is long overdue. Gone are the days when the only way to view a house was solely by way of poring over flat and sometimes confusing floor plans. With the emergence of 360-degree video we have an exciting new way of being introduced to the layout of a house. 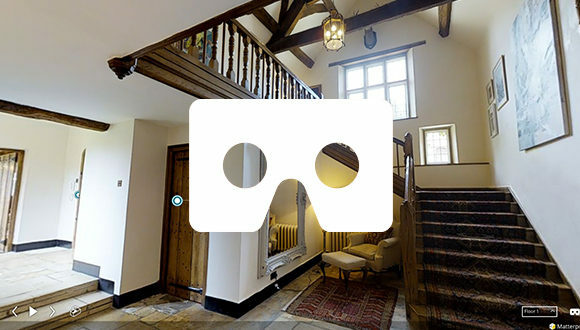 With a few clicks you can be leisurely making your way through living rooms, bedrooms, dining rooms, kitchens and bathrooms – the whole house in all its beauty waiting for you to step on in for an effortless and insightful virtual tour. 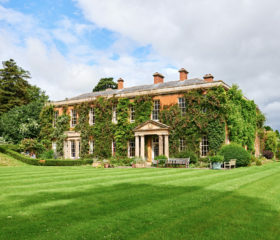 With a swimming pool, tennis court, play room and gardens and grounds to explore, there’s plenty to keep the children occupied. Our baby pack includes high chairs and cots. There are also beakers, bowls, plates and cutlery for your children. 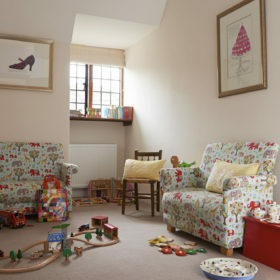 Children will love the wendy house, with the play kitchen and tables and chairs perfect for imaginary tea parties, they’ll play together happily. 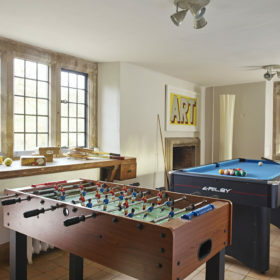 Older children will take advantage of the games room, with pool table and table football, before settling down in the media room in front of the wide screen TV. 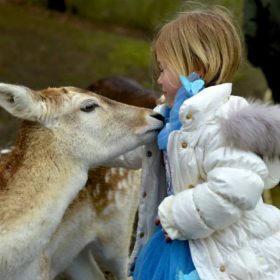 With so many days out to enjoy from Roman Villas, to animal spotting at Cotswold Farm Park, children will love Marsden Manor just as much as the adults. Admire the wolds and meander through the honeystone villages with their wool churches and duck ponds. Waterski or wakeboard at the Cotswold Water Park. feed the animals at Cotswold Farm Park, or discover Roman remains at the Roman Ampitheatre in Cirencester. 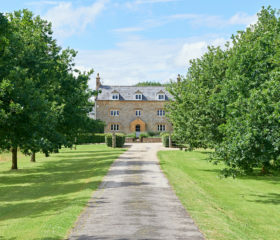 Grand Kent country home with swimming, snooker and cinema.